Last week we wrapped up another fantastic month of riding our bikes every single day as part of the #30daysofbiking event. This is the third year that we’ve kicked things up a bit over here at Loving the Bike, and added an extra dimension with our points system. There was a lot of great riding that took place and I loved seeing all the pictures posted on our Facebook Page. Now it’s time to award some prizes and thank our great sponsors. Not everyone on Team #LovingtheBike submitted their point totals to us, so we’ve based things on those who gave them to us. 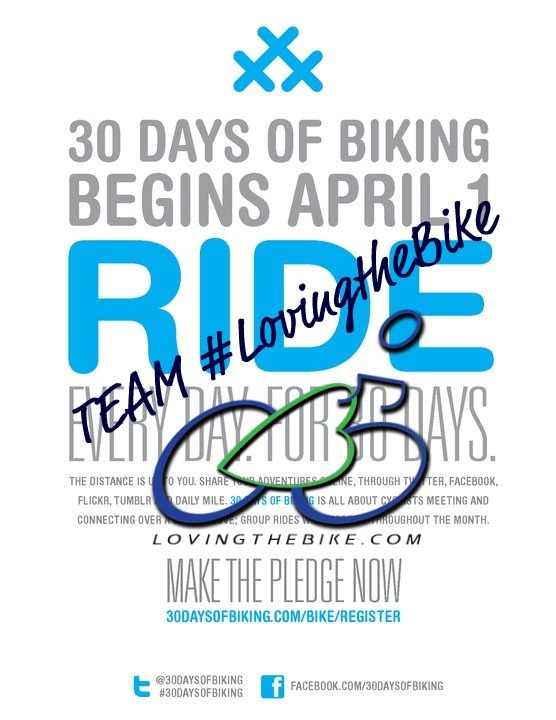 Congratulations to all of you who took part in #30daysofbiking. Julie receives a fantastic prize pack from Clif Bar, as well as one of The Sufferfest training videos. Mark receives a video from The Sufferfest. Ryan receives a training video from The Sufferfest. 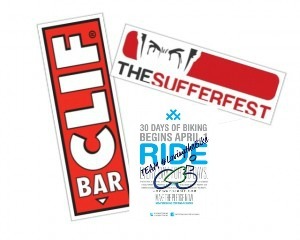 A huge thank you goes out to Clif Bar and The Sufferfest for their support and for providing the great prizes. We’ll be back to do this again next April. Woo Hoo! Congratulations to Mark and Ryan too!!! It’s been wonderful being on the Team #LovingtheBike with everyone! Thanks to Darryl for bringing us all together for 30 Days of Biking! Thanks to Clif Bar and Sufferfest as well! Congratulations Julie and Ryan, and well done to everyone who gave #30DaysofBiking a go. I loved seeing all the pics. Thank you Darryl, and to the sponsors.